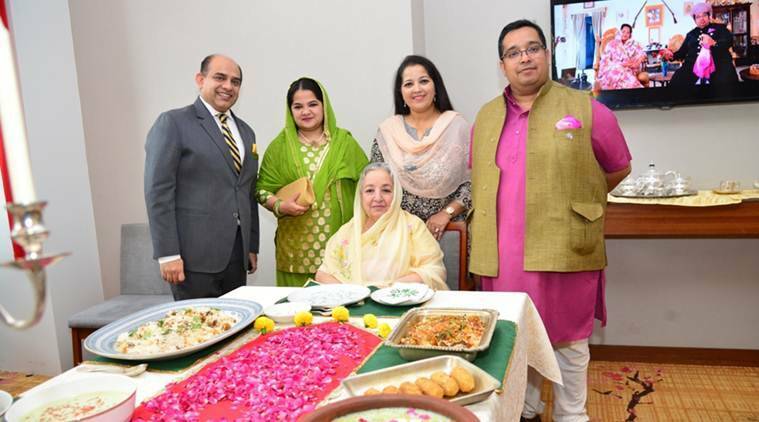 All the members of the royal family, including, Begum Farhat Sultana Babi, the Nawab and his wife have busied themselves in the kitchen of Ahmedabad's Renaissance Hotel to showcase their spread of royal fare during food festival Shahi Dawat-e-Balasinor. The royals, who got their home cooks, are fondly possessive of their recipes. The secrets from the kitchen of royal family of Balasinor in Kheda district are finally out and ready for Ahmedabad food connoisseurs to sample. Balasinor is also home to the second largest dinosaur hatchery and third largest fossil park in the world. The royals, who got their home cooks, are fondly possessive of their recipes. It is not only the 74-year old matriarch, Begum Farhat Sultana Babi, who has been personally overlooking the preparation of each dish, but also other members of the royal family, including the Nawab and his wife, who have busied themselves in the kitchen of Ahmedabad’s Renaissance Hotel to showcase their spread of royal fare during a nine-day food festival – Shahi Dawat-e-Balasinor, starting April 6. 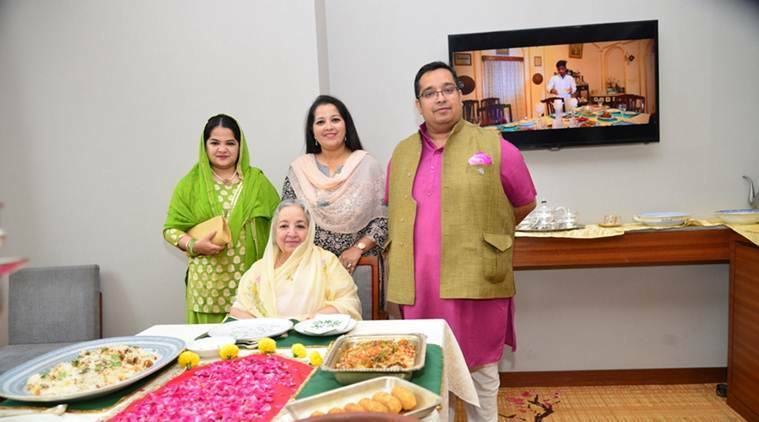 The royal dishes will be served straight from the kitchen of Begum Farhat Sultana Babi. All preparations have been cooked by the members of the royal family of the Babi dynasty. 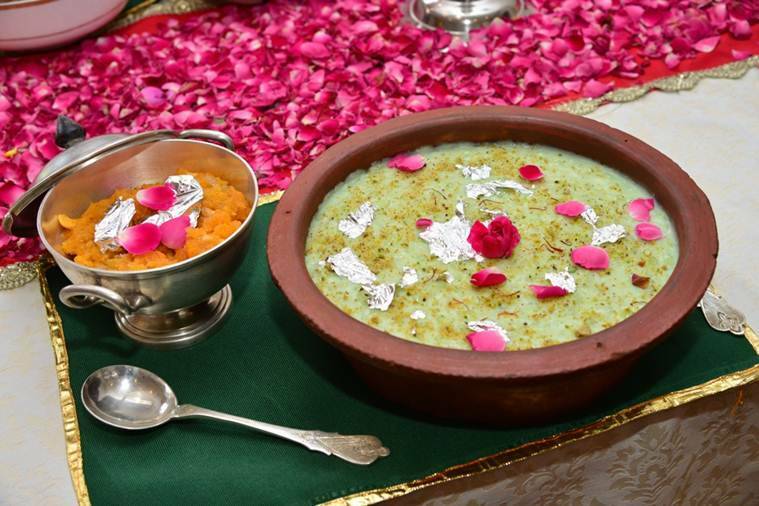 The royal dishes will be served straight from the kitchen of Begum Farhat Sultana Babi. “Frankly, we’ve been preparing these dishes since 12 pm yesterday,” says Nawab Sultan Salauddinkhan Babi, the prince of Balasinor, with a sheepish smile introducing the fare at a media interaction on Monday. The dishes plated on the family’s heirloom ceramic and brassware, is aiming to give all the complete royalty living experience. “As a royal family, we are the gatekeepers of these exquisite recipes and we don’t want to share the secret with the world. At the same time, my mother, Begum Farhat Sultana Babi, has carefully preserved the more-than-a-century-old recipes of our 650 years old dynasty. Along the way, she has also introduced her own take, tweaking these recipes to keep up wth the changing times and tastebuds. The world must know about our unique cuisine. Moreover, over the past one year I took it upon myself that my mother must get her due, who has painstakingly safeguarded this cuisine along with introducing her own set of unique innovations. 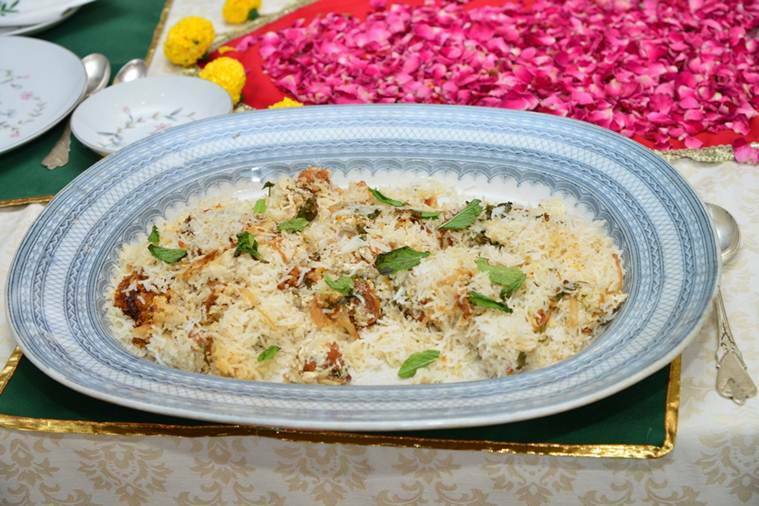 We have realised, that people do want a taste of the royal cuisine and savour these dishes,” says Nawab Sultan Salauddinkhan. After her marriage in the Babi dynasty of Balasinor, Begum Farhat, whose maternal side hailed from the Junagadh royal family, brought along a piece of her mother’s home. “Lasaniya kheema, that involves mutton keema, cooked with green garlic, and then topped with a raw egg, which is coagulated by pouring hot ghee, used to be a breakfast dish. 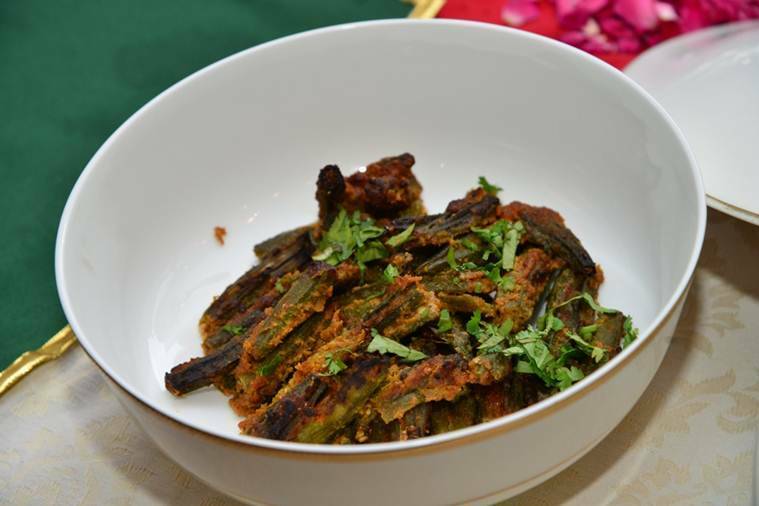 A typical winter dish, since green garlic would only be available then, my grandfather taught me to cook this and now it has become a signature dish of this family,” says Begum Farhat. All preparations have been cooked by the members of the royal family of the Babi dynasty. One of the reasons of the minimalistic yet flavoursome aspect of the cuisine, stems from the point of view of practicality. Aaliya points out, “A lot of the cooking used to take place for the royal families on hunting trips. The meat used in those days would be of the animal hunted. Moreover, it was not practical to carry a lot of baggage on these hunting trips, which is why some dishes included simple spices.” However, most non-vegetarian dishes now use either chicken or mutton as the primary meat.